Scott Weltz (JD '94) witnessed history and the end of an era. In 1961, Pike was a young U.S. Army lieutenant in West Berlin, Germany, who watched construction begin on the Berlin Wall. 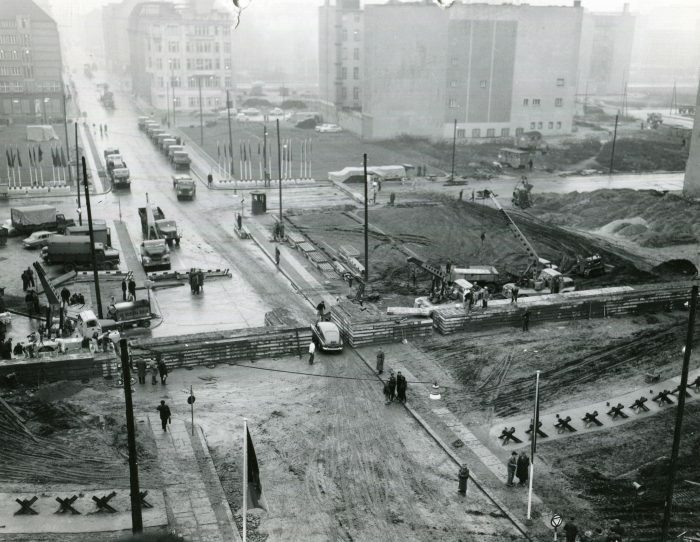 “Damn if they weren’t digging holes in the street and putting in posts and stringing up barbed wire,” he recalled of the unusual activity in communist East Berlin on Aug. 13, 1961. Pike became the first officer in charge of the Checkpoint Charlie crossing between West Berlin and East Berlin. A car squeezes through the Berlin Wall into East Berlin in December 1961. Weltz, now an attorney in Surprise, Arizona, had been in Potsdam before returning to West Berlin on Nov. 10. He was shocked to see East Germans walking across what had been the “death strip.” Late the night before, the East German government made the surprise announcement that its citizens would be allowed to travel freely to West Germany. Thousands of East Germans flooded across the previously closed border into West Berlin. 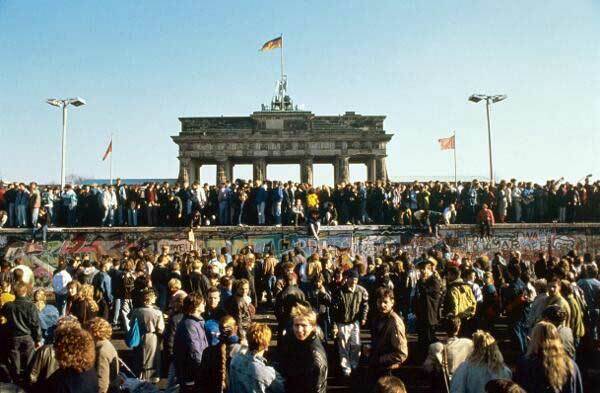 Crowds gather at the Berlin Wall near the Brandenburg Gate. Weltz joined the celebration near the Brandenburg Gate. “We would hoist each other up on top of the wall and pass up champagne,” he recalled. Like many who were there, Weltz chiseled off a piece of the wall to bring home. A native of North Dakota, Weltz earned an undergraduate degree in Russian at the University of North Dakota. He joined the Army and was a paratrooper, based at Fort Bragg, North Carolina, for several years before going to Berlin as an interpreter. He joined the North Carolina National Guard after returning from Berlin and later enrolled in the Wake Forest School of Law. 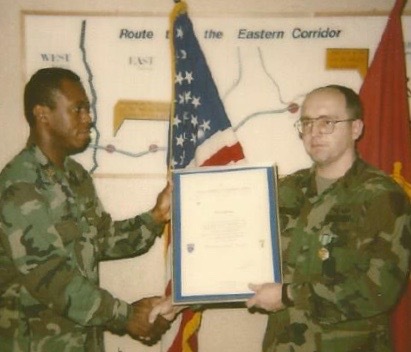 “Wake law gave me the confidence to take any case that was offered me, in my civilian career and my military career,” he said, citing the influence of Professors George Walker and Joel Newman (P ’00). 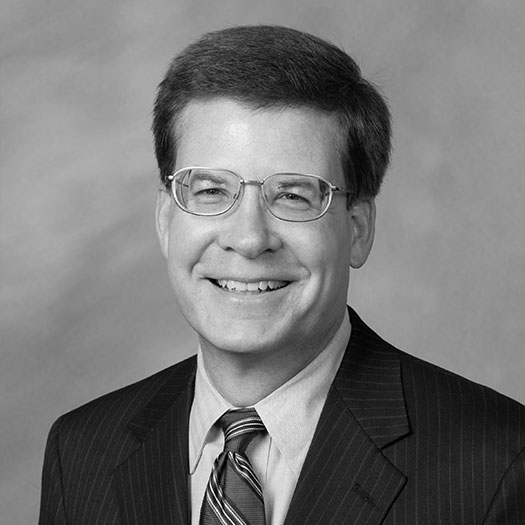 After graduating from law school, he served in the Judge Advocate General Corps and worked for Womble Carlyle Sandridge & Rice in North Carolina and Atlanta before moving to Arizona several years ago. 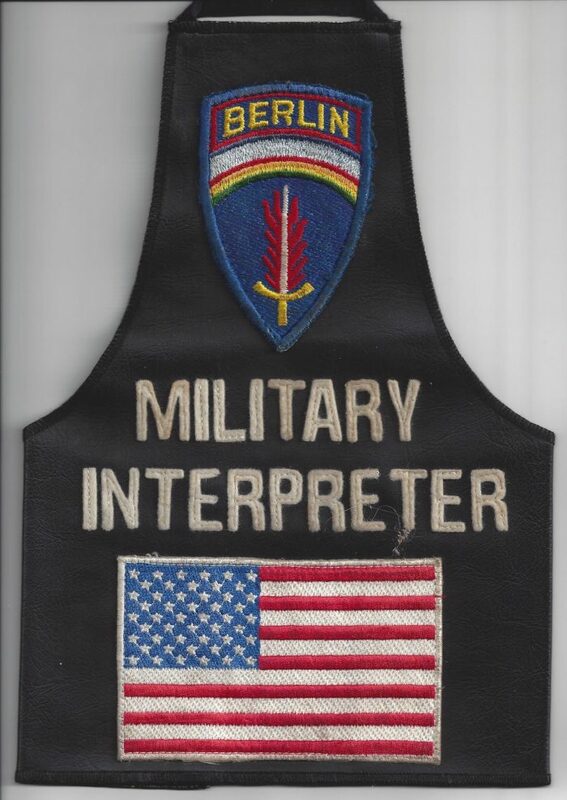 A patch worn by Scott Weltz during his tour of duty in Berlin.